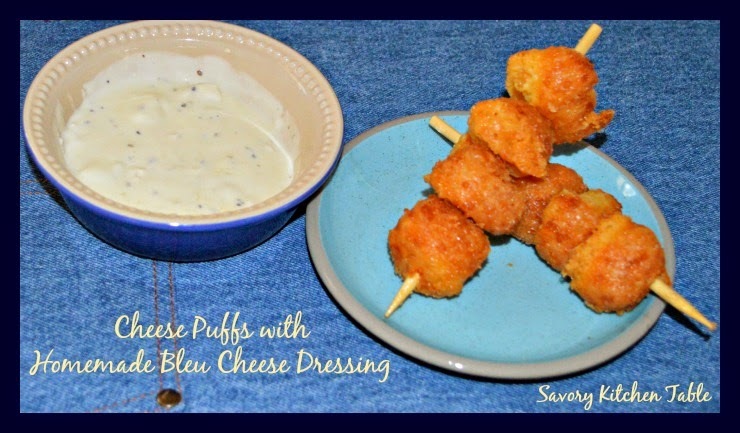 You will never go wrong serving these at a tailgate party. Especially if you put them next to the cold beers! 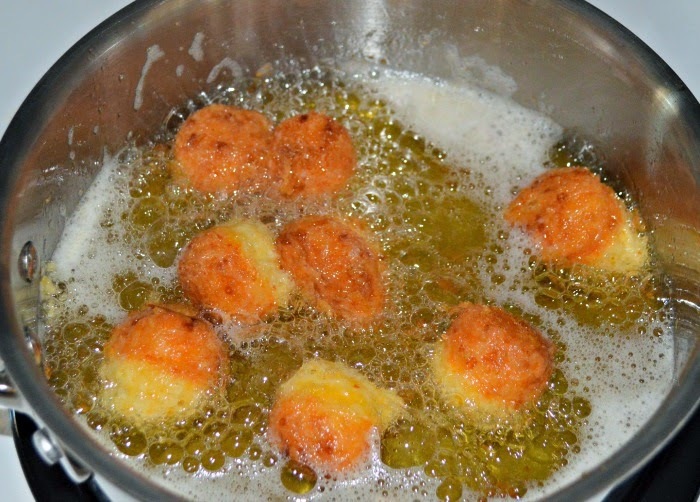 Mix well until mixture holds together and shape into small balls. 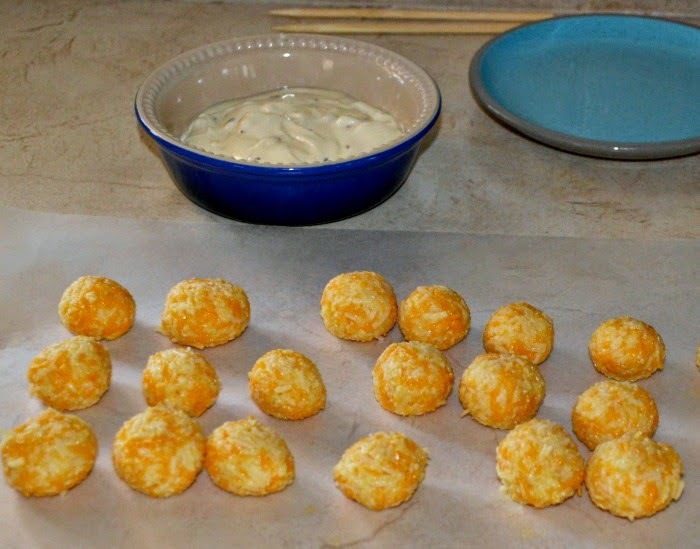 Make sure your cheese balls are not too big since they will almost double in size when you fry them. 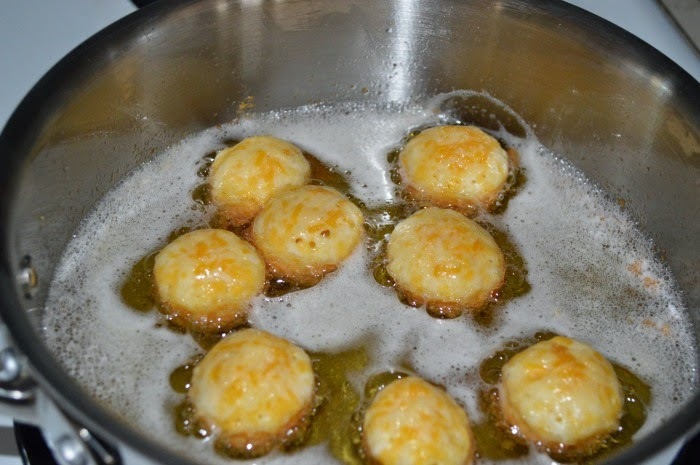 Fry cheese balls in hot oil until golden brown. You should have enough oil so your balls are almost completely covered.